What the heck is ”augmented reality”? It’s become quite a popular term in the past few years thanks to Google Glass, but the idea is older than the first Android Phone. Do you remember the Terminator movie? Our hero had vision which mapped the nearby area and displayed additional information about objects or people. it allows movement in 3D. It is very important that you do not confuse augmented reality with virtual reality because these technologies are just not the same. 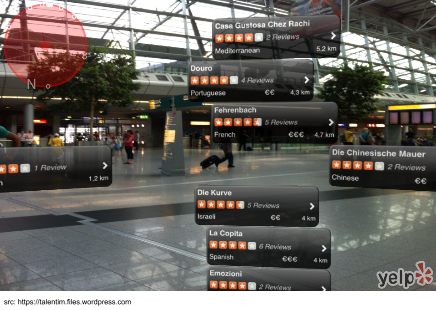 The crucial idea of AR is to overlay digitised information on the real (offline) world. Sounds great, doesn’t it? 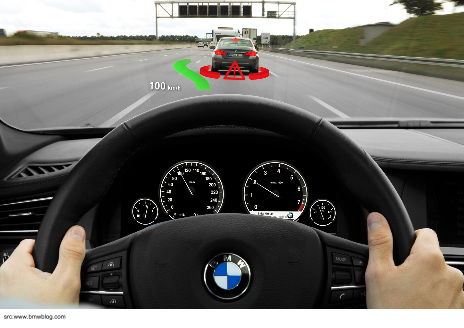 There are devices on the market which, when installed in your car, transform the front windscreen into a heads-up display which shows navigation information, safety alerts, etc. Who hasn't heard about Google Glass? It’s a popular wearable made by Google. You can also think about it as a kind of personal heads-up display. But what’s really great about it is that its SDK enables you to create your own AR apps. 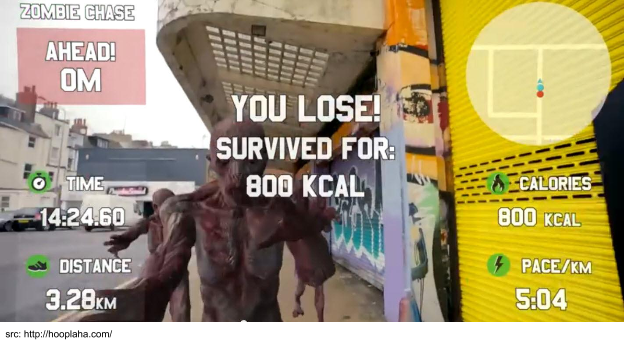 For example, if you need some motivation to start jogging every day, you can choose the “Zombie Chase” mode on your RaceYourself app. Every time you look back, you can see how close you are to being devoured by the horde of zombies chasing you! But let's move on to technology that is already commonplace and talk about some readily available Android apps. Smartphones are always by our side, and can provide important information in real time. The most interesting experiences are when you can connect what you see or hear with digitally processed data. 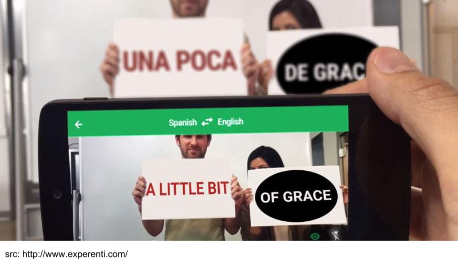 For example, Google recently implemented an AR feature in their mobile Translate app. It automatically translates text visible via the camera view. And what’s most amazing is that everything happens in real time! Given what we’ve learned so far about augmented reality, you might be inclined to think that it’s quite difficult. Either it requires modern hardware technologies or powerful image processing algorithms combined with sophisticated software. But does it have to be like this? Let’s take a look at Yelp. It’s an app that provides information about nearby restaurants (reviews, etc). What’s really interesting is its Monocle feature, which overlays information about places of interest on your camera view. Now let's ask how difficult it would be to implement an application similar to Yelp’s Monocle. The most important question is how to detect points of interest and present them on the screen. Image recognition algorithms might be what comes to mind, but let’s be realistic - they’re almost impossible to implement on a mobile device. So we look to other sciences for an answer. It turns out that geodesy offers us a simple solution. In this tutorial, I will not describe how to get the location and azimuth orientation of the device because this is very well documented and there are a lot of tutorials online. Mainly for reference, please check Sensors Overview (especially TYPEORIENTATION and TYPEROTATION_VECTOR) and Location Strategies. Once you’ve prepared data from the sensors, it’s time to implement CameraViewActivity. The first and most important thing is to implement SurfaceHolder.Callback to cast an image from the camera to our layout. SurfaceHolder.Callback implements the three methods responsible for this: surfaceChanged() surfaceCreated() surfaceDestroyed(). Once we have the whole presentation, we need to connect it with sensor data providers. In this case, this just means implementing and initialising proper listeners from OnLocationChangedListener and OnAzimuthChangedListener. 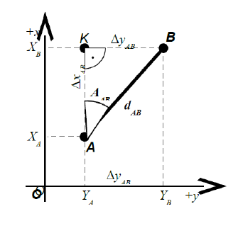 When we’ve gotten the current location we can calculate the theoretical azimuth based on the theory presented earlier. 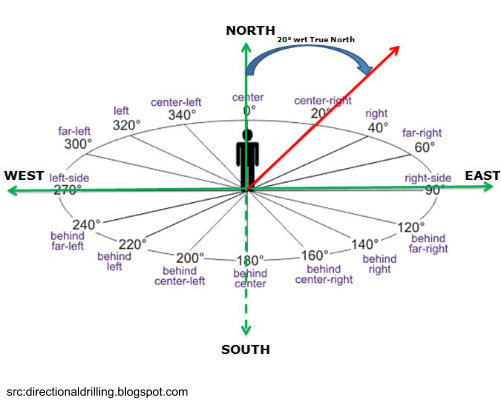 When the orientation of the phone changes, we need to calculate accuracy, compare both angles and if the current angle is within accuracy we can show a pointer on the screen. Of course this approach is quite trivial but it illustrates the idea. The accuracy of sensors - unfortunately not perfect, mainly because of magnetic field emitted by device itself. And that’s all you need to know to start your Augmented Reality journey. 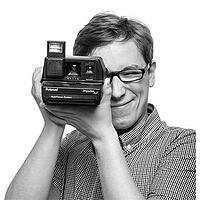 I really encourage you to use your imagination and creativity to deliver life changing apps. The potential is huge, and it’s our job as developers to make it happen! Good luck! You can find the whole Android project with AR implementation on my GitHub.